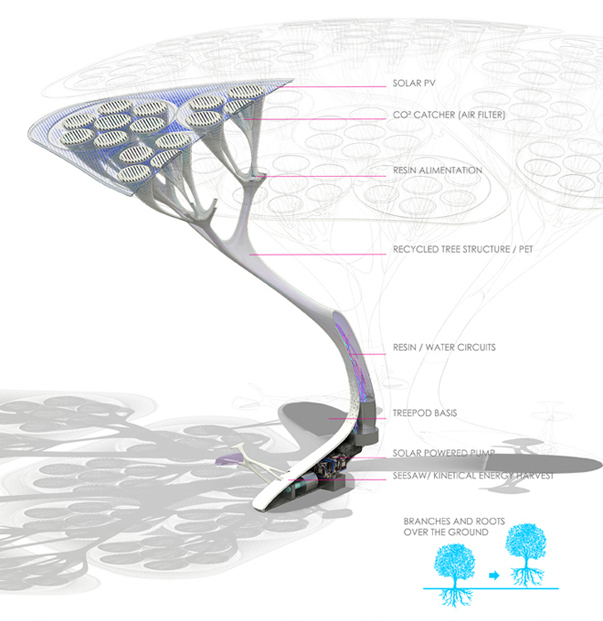 During late October of 2010, the SHIFTboston recruited Mario Caceres and Christian Canonico from Paris, France, to develop a synthetic urban tree that could benefit the City of Boston – or any city – by providing the functions of a normal tree without soil and water. 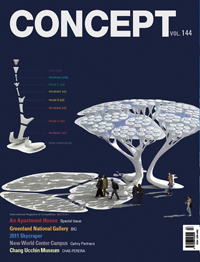 Mario and Christian were selected for their exceptional innovative conceptual design ability based on entries to several former SHIFTboston competitions and challenged to develop a product which could offer the environmental benefit of trees, such as de-carbonization and perhaps protection for zones which are not able to support tree growth. 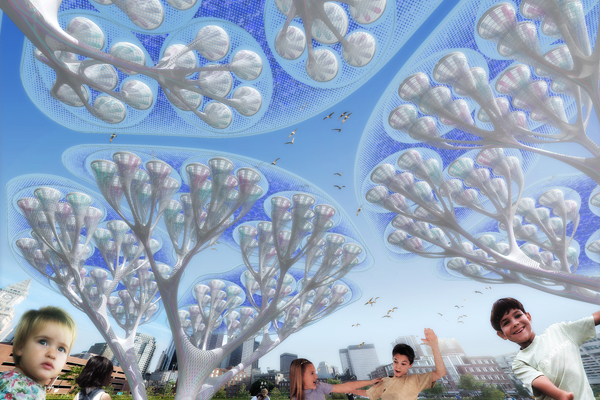 Boston Treepods is an urban intervention which contains a system that is capable of removing carbon dioxide from the air and releasing oxygen using a carbon dioxide removal process called “humidity swing”. In addition to cleaning the air, the Treepods will also generate energy with solar energy panels while harvesting kinetic energy through an interactive seesaw that visitors can play with at the Treepod's base. When a person plays on the see saw, the power display explains the Treepod's de-carbonization process. The solar panels and the kinetic energy station are used to power the air filtration process, as well as interior lighting. The Treepods are made entirely of recycled/recyclable plastic from drink bottles. 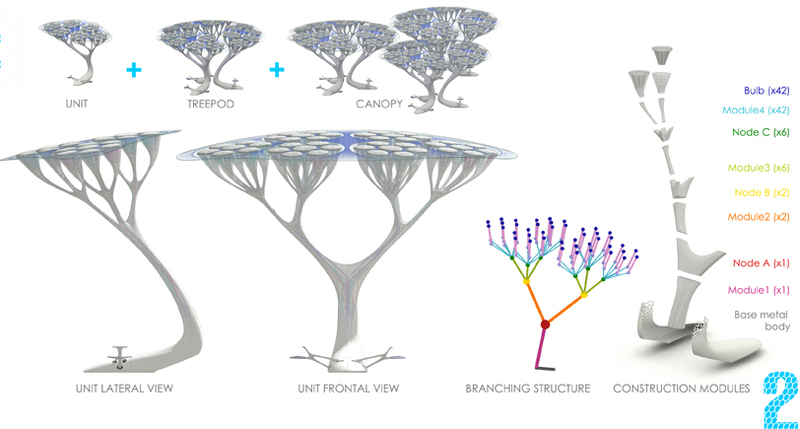 Based not only on trees, but on the human lung, the design of the “branches” will feature multiple contact points that serve as tiny CO2 filters. Interestingly, the Treepods have been compared to “urban furniture”: sleek yet functional design pieces that would fit into any urban environment. 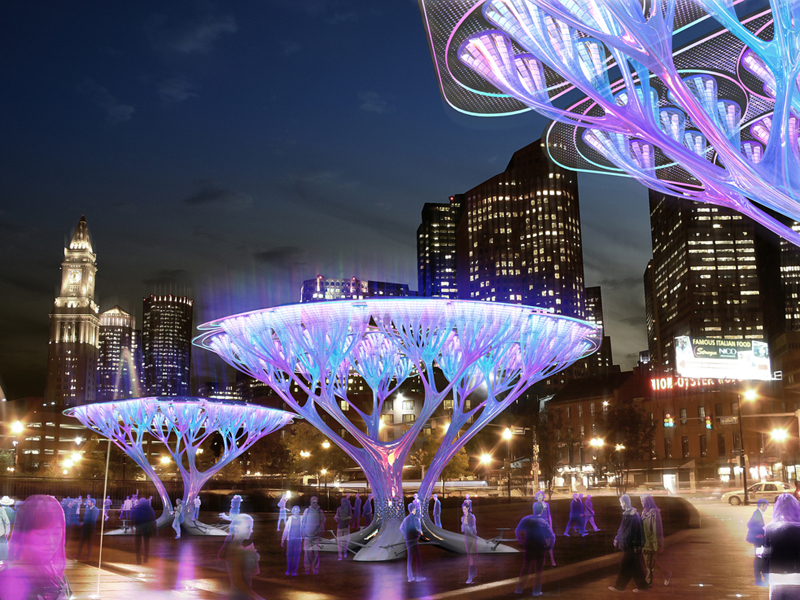 At night, the Treepods light up in an array of eye-catching colors. SHIFTboston continues to look towards the means and ways with which to improve the cityscape of Boston and we encourages the city and its citizens to join us in our search and development of a better future urban environment. 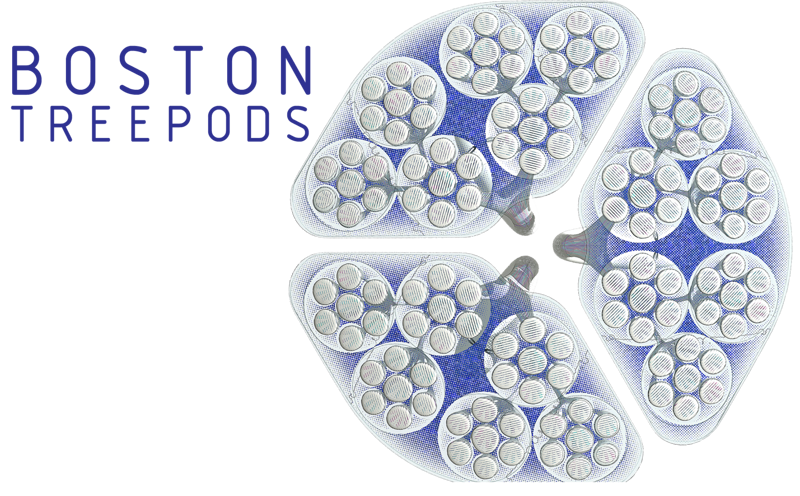 Read our blog entry on Boston Treepods.